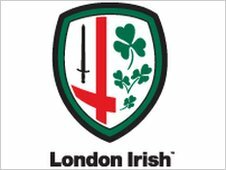 London Irish have announced that four players from their advanced apprenticeship in sports excellence program will join the Exiles academy. David Sisi, Jack Moates, James Lightfoot-Brown and Ben Pritchard have all committed to the club after impressing this season. They will hope to emulate the success of Matt Garvey and Jonathan Joseph who will join the senior squad next season. Both players had been in the club's academy for the previous two years. Sisi, who can play either in the second row or back row, made his London Irish debut this season in the LV= Cup against Sale Sharks. He was captain of the Exiles AASE side, and made his international debut for England Under-18's against Ireland last December. Openside flanker Pritchard impressed in the Aviva A league, along with scrum-half Moates, who was ever-present in the A league this season, and was also the top try-scorer for the AASE. Lightfoot-Brown, who can operate either at scrum half or fly half, starred in the JP Morgan Premiership Rugby Sevens and A League and also represented the England Under-18 side. Academy manager Neal Hartley said: "All four players are very useful additions to the Academy for next season. "David, James, Jack and Ben will know they have a lot of work in front of them over the next few years and we know they will be up for the challenge." AASE head coach Giselle Mather added: "I am thrilled to have our first contracted players going through from our AASE scheme to the academy in only our second season. "To have four players move through the ranks really shows how well our system is working. It shows that if the hard work is put in there is a clear route to a career in professional rugby."